If you are short on time in Nepal, the Himalayan Nepal Tour is without a doubt the best option for you for discovering the diverse beauty of our country. 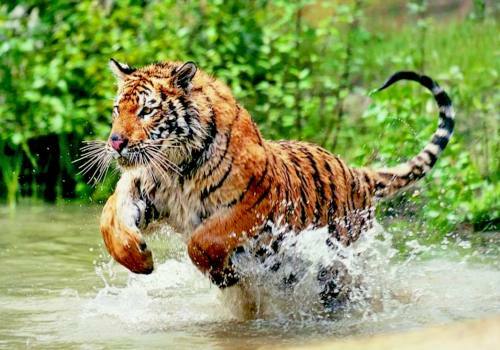 There is no better well-rounded tour that can be completed within a week of landing at Tribhuvan International Airport. Be constantly surrounded by the best Himalayan views, while immersed in the rich, unique culture of Nepal. 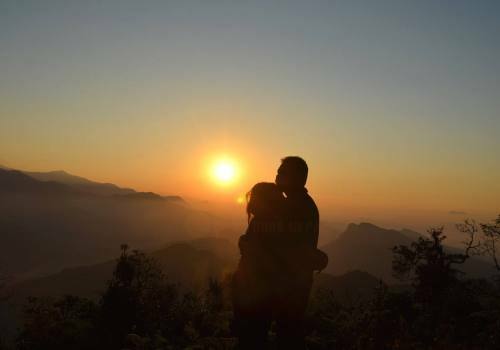 Imagine watching the sun fall behind the glowing Himalaya from the hilltop village of Bandipur. It’s an almost spiritual moment that will stick with you forever – and that’s just the beginning of the tour! 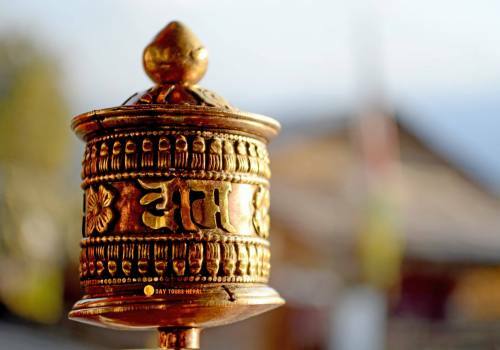 Sacred sites, inviting views, and a whole lot of surprises lie ahead on our Himalayan Nepal Tour. Hopping off the plane in Kathmandu, you immediately realize the next 8 days are going to be special. First, spend time at each of the capital city’s UNESCO World Heritage Sites. 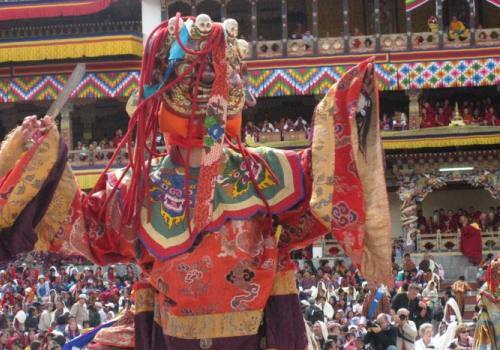 Wander around the spiritual experience-inducing temples, stupas, and ancient palaces. 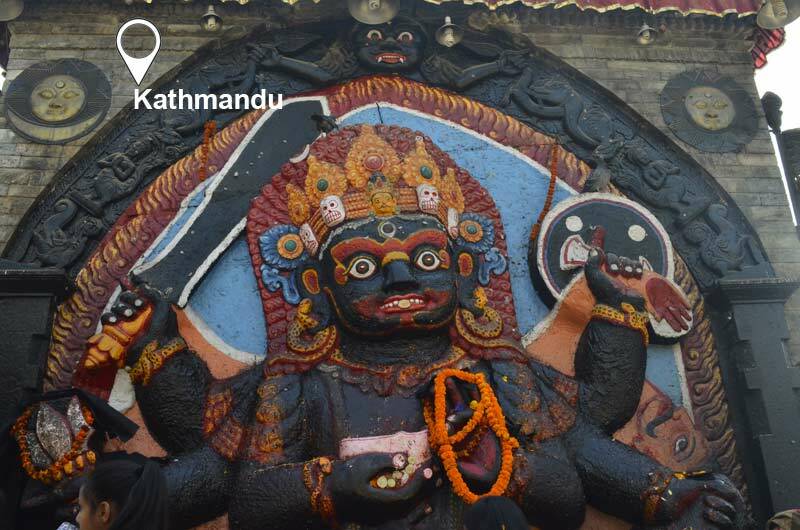 Swayambunath (aka Monkey Temple) gives the emblematic temple experience in Kathmandu and is revered by locals and tourists alike. Admire the panoramic city view while monkeys swing above your head. At Boudhanath, watch as devout Buddhists make a kora (circumnavigation) around the stupa unexplainably peaceful stupa. 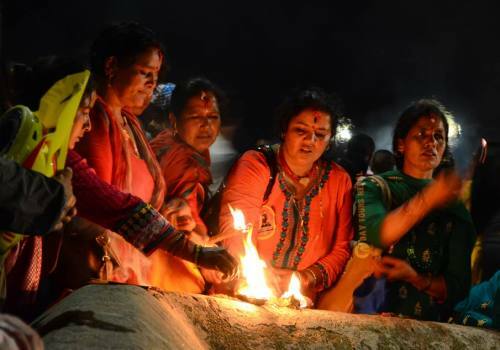 Move to Pashupatinath, where cremation ceremonies happen on the Bagmati River, as colorful ascetics wander around. Then, a visit to Kathmandu could not happen without a stop to Kathmandu Durbar Square. The Kumari, the living goddess, lives within the walls of this palace to this day. Next stop – Bandipur – a highly underrated old, but energetic Newari village. With view vehicles in the village, Bandipur is a perfect countryside getaway. Just beyond its boundaries are rolling hills with terraced fields, the quintessential middle hills vibe. Try authentic Newari cuisine while we wander the narrow, winding roads and enjoy the traditional architecture. 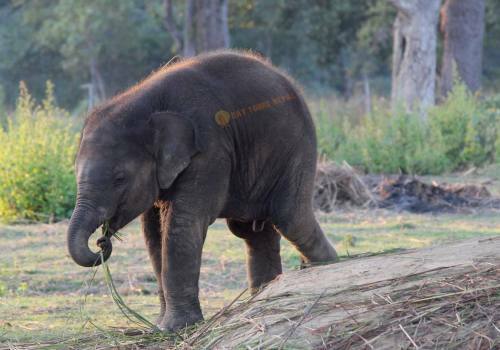 Though Bandipur is small, there is plenty to do in and around the village. There are plenty of temples (Thani Mai Temple, Bhindebasini Temple, and more!) to explore, each with its own scenic view. We can explore the Siddha Gufa, a 437-meter-deep and 50-meter-high cave, with cool stalagmites and stalagtites throughout. As a scenic backdrop, enjoy the looming Himalayan peaks throughout our time in Bandipur. Pokhara is the adventure travel and tourism destination. 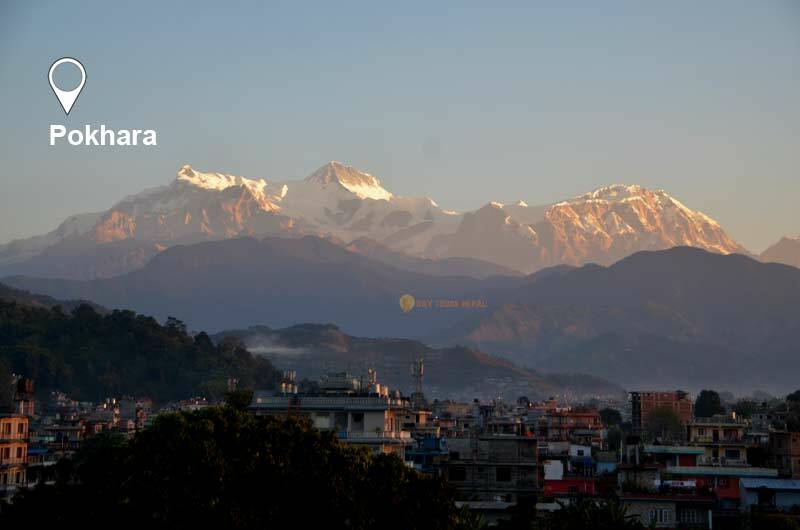 Not just in Nepal, but Pokhara is considered one of the best throughout Asia. More mountain views await us as we arrive to this gorgeous lakeside city. The dramatic peaks of Annapurna II, Annapurna IV, Annapurna III, Machhapuchhre, Annapurna I, Hiunchuli, and Annapurna South overlook Pokhara. We make the most of the seemingly endless possibilities here. As much as time allows, see the World Peace Pagoda, Seti River Gorge, Gupteshwor Mahadev Cave, and the International Mountain Museum – all while saving time to chill out by the lakeside. Note that it’s very possible to extend your stay in Pokhara for an extra day to watch the sunrise at Sarangkot and/or take a paragliding excursion with stunning mountain views. Last but not least, we head to Nagarkot, another scenic hilltop with even more stunning mountain views. Just a short drive from Kathmandu, stare face-to-face with the several of the highest mountain peaks in the world. With Dhaulagiri in the west, Everest and Kanchenjunga in the east, and the Annapurna range between the two, it is a once in a lifetime panorama. Stroll around the charming village. 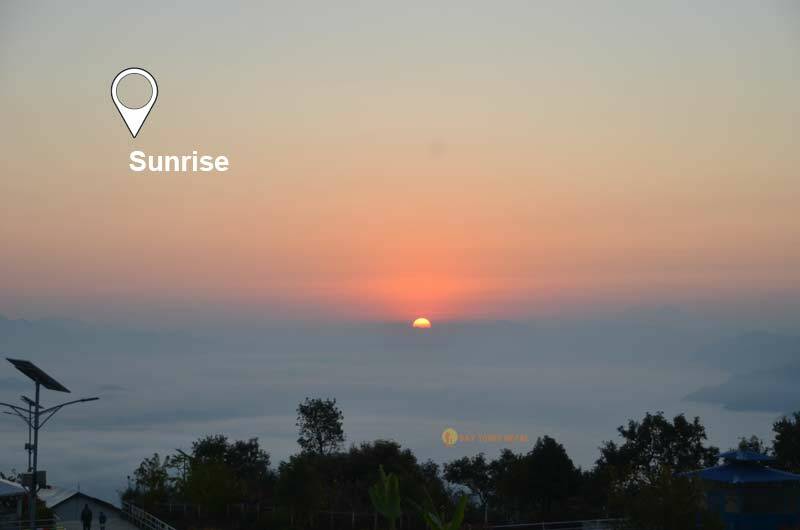 Enjoy the sun’s luminous glow at both sunset and sunrise from Nagarkot. Disconnected from the noise and business of Kathmandu, feel the peaceful vibes of Nagarkot. if you want to book the Himalayan Nepal Tour package from Delhi with airfare, contact Day Tours Nepal tour experts. For Indian citizens, the tour cost will be different and much cheaper than other foreign nationality because of accessibility. 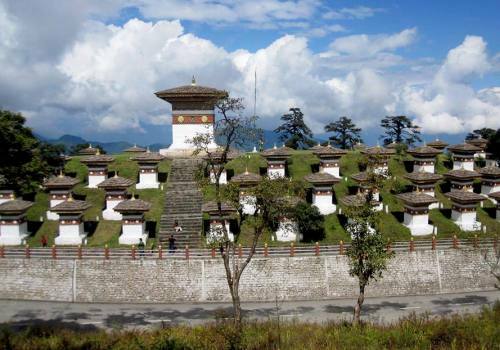 If this Himalayan Nepal Tour seems too long, email us we will customize a 3 Nights 4 days Nepal tour package for you. Great experience with our team. Landscapes, Mountains, Rivers, and Nature. Day 01:Welcome to Nepal, Kathmandu. 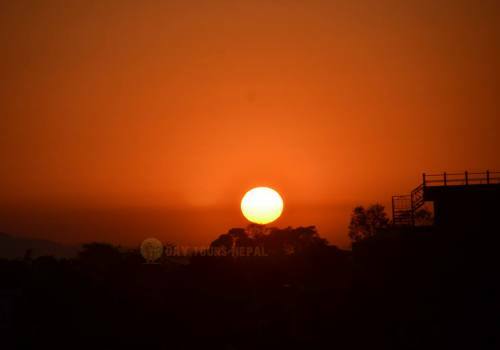 Altitude: (1,350m) 4,428ft Kathmandu is the capital of Nepal and also a city of World Heritage sites. Our team will be waiting at the airport to transfer to your hotel. 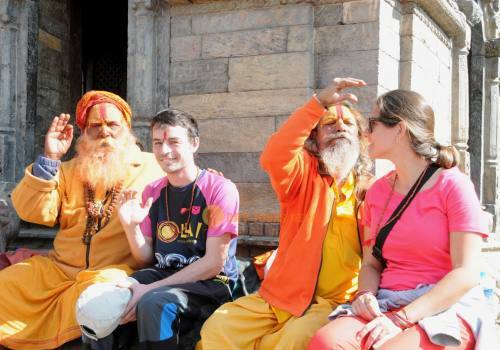 Day Tours Nepal Tour officer will meet you and greet at the hotel for further plans and trek preparation. for rest and refreshment. 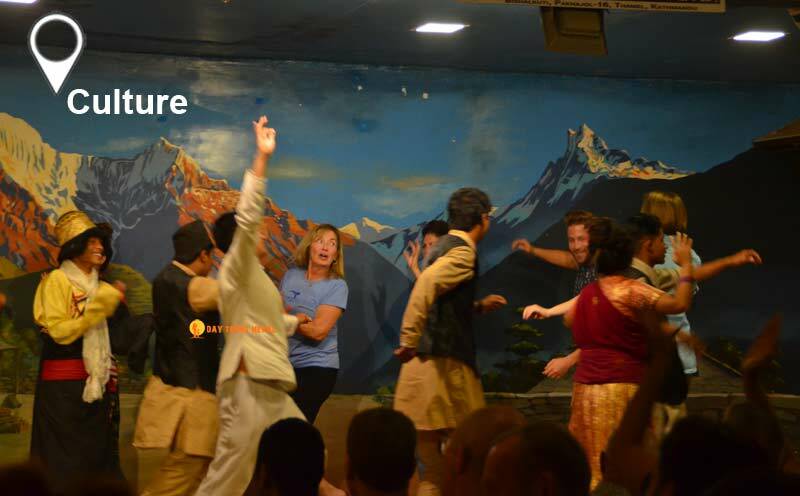 Evening our guide will take you to welcome dinner at a Nepalese restaurant, enjoy the meal with dance, music, and interesting activities. Day 06:Pokhara - Fly to Kathmandu - Nagarkot. Day 08:Final Departure Breakfast at the hotel and transferred to the international airport on your flight schedule and if some have extra days in Nepal they will continue with other activities. If any help is needed for further plans feel free to contact Day Tours Nepal team. All the Private transportation (A/C Vehicle) Cost. Deluxe Twin sharing hotels B&B basis. 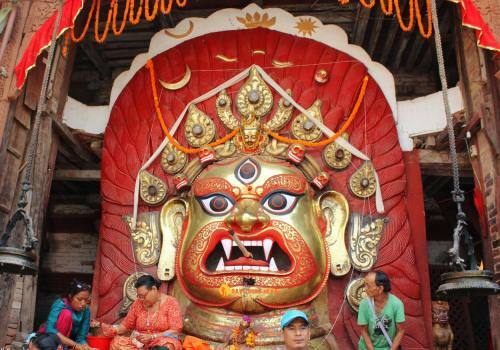 Kathmandu - Bhaktapur - Patan City Tour. 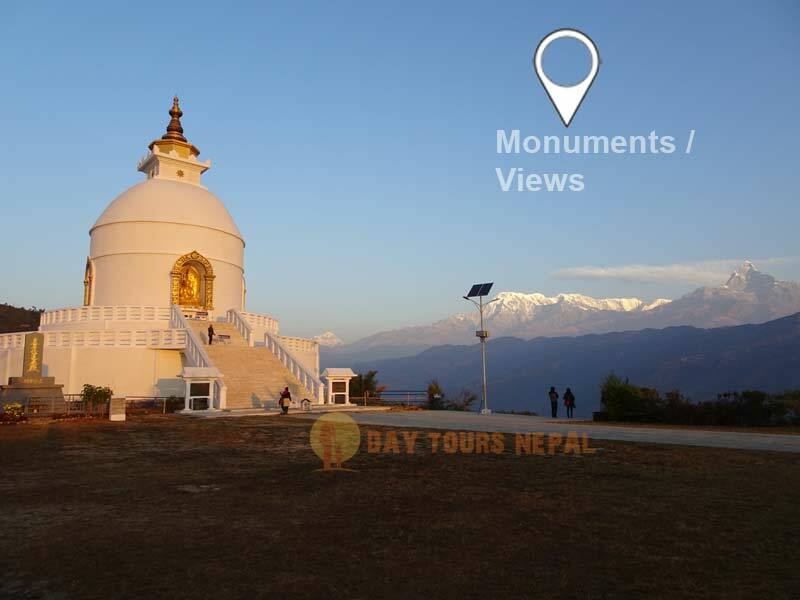 Pokhara sunrise & City Tour. Guided Tour in Cities by a local guide. Souvineer from Day Tours Nepal. Local sim card, City Map. Expenses incurred due to accidents, delays, landslide, etc..
You can even pick during festival time, for details contact Day Tours Nepal. Price seems expensive or cheap? We are offering 3* hotels, private vehicles, and flight ticket (ask for Budget). Want to upgrade Hotels and Comfort travel, inquire as (I am looking for Dexlue). The Tour price you are seeing is for one person but if you are 2 or more people then the price will be less. You can add other activities. 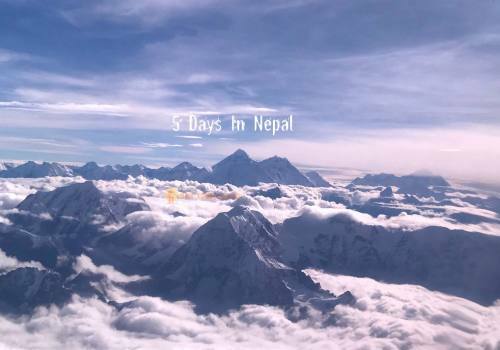 1 Hour (Mountain flight) Everest experience flight. 190 $ per person. Jump on a white water rafting 25 $ per person with lunch. Fly like a bird (Paragliding in Pokhara) 75 $ per person.